It is the world of technology and advancement, if you don’t keep pace with it, people will go over board and leave you behind as if you are nonexistent. It is now the time to get ourselves up front with latest expertise. When we talk about top brand, what hits like a bolt from the blue is indisputably Apple which has now become a status symbol. It has certainly nailed its quality and weighing heavy on other brands and companies. One can’t resist shopping for an Apple device. It always comes up with exciting devices that are advanced, radical and excessively progressive. Apple has ideal and crisp devices whether it is iPhones, Apple tablets, Apple Macs or any other Apple device. It does not compromise on its individuality. Without using an Apple device; one cannot feel himself sophisticated and trendy. I myself has deep craving for Apple devices and I always eye up for its latest up dates. Being an Apple maniac; it’s quite obsessing if I don’t take into my keen indulgence if an apple device comes. 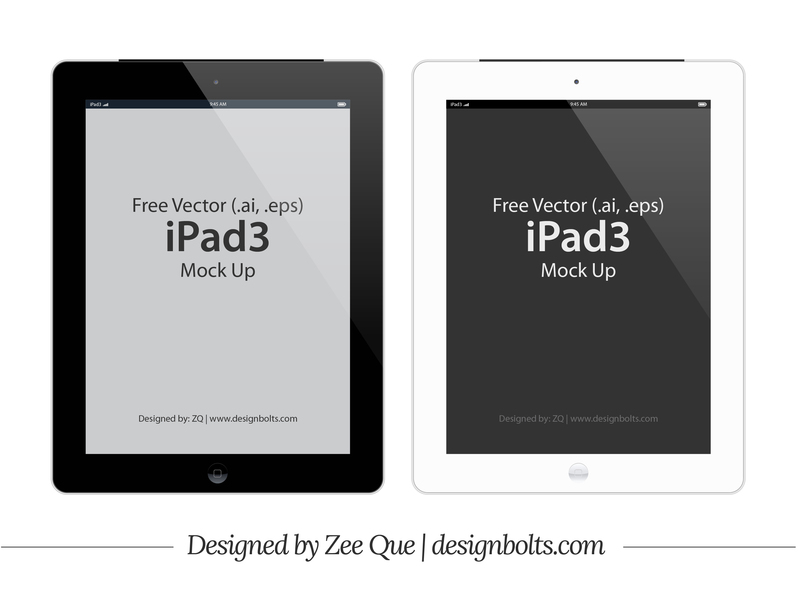 So today I’m bringing before you free Vector Apple iPad 3 tablet in (.ai & .eps) format. This can be used in personal projects you are currently working on. Scroll down to get the gaze!